Press Association analysis of data from 32 of the 43 police forces in England and Wales said the weapons had been found in two years to March 2017, BBC News reports. Police chiefs said there had been a “worrying” increase in young people carrying knives. Heads said children’s safety was their top priority and that schools worked closely with police to protect pupils. In 2016-17 alone, 1,369 weapons were found – a rise of almost 20% on the previous year. A fifth of the overall incidents related to knives or swords. Other weapons confiscated included at least 26 guns, including air guns and an imitation firearm. More unusual seizures included a police baton, a rolling pin, a can of beer and a 15in (38cm) metal rod. At least 47 children below the age of 10 – the age at which someone can be prosecuted – were found with weapons. This included three five-year-olds, one of whom was caught with a knife, while another was found with a “missile” – typically a brick or a rock. The Metropolitan Police and Greater Manchester Police were among the forces to respond to the survey. Chief Constable Alf Hitchcock, the National Police Chiefs Council lead for knife crime, said: “Carrying a weapon of any kind in schools is not an issue for a school to deal with alone; police and partners will always be willing to work with them and take appropriate action. “We have recently seen an increase in young people carrying knives, and this is worrying. “We are responding to this trend by targeting those who carry them illegally and working with retailers to reduce the sale of knives to under-age people, through nationally co-ordinated operations. Geoff Barton, general secretary of the Association of School and College Leaders, said: “Schools work closely with the police to protect and educate their pupils, and in some cases police officers are stationed in schools. The figures come amid a crackdown on knife crime in schools by some forces. 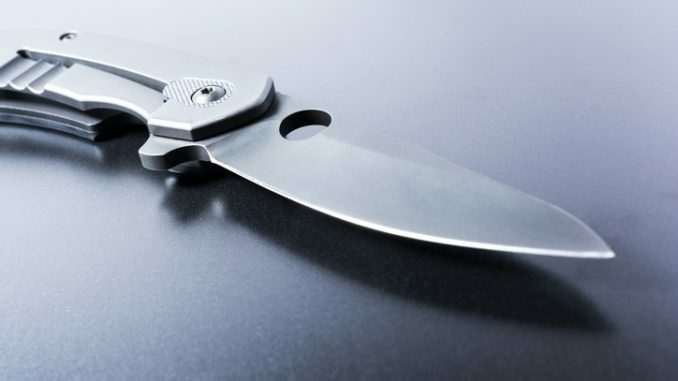 Earlier this month, the Metropolitan Police announced officers would be working with schools to highlight the potential consequences of carrying a knife. It follows the case of Ann Maguire, who was stabbed to death at Corpus Christi Catholic College in Leeds in April 2014 by a 15-year-old pupil. The following year, teacher Vincent Uzomah was seriously injured when he was stabbed at Dixons Kings Academy in Bradford by a racist pupil.